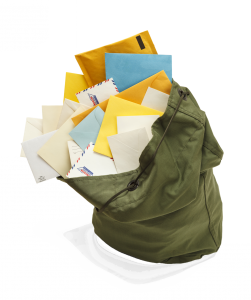 Mailing and Fullfillment | Art Communication Systems, Inc. Direct Mail Is Still a Viable Marketing Tactic! Direct mail inspires., Direct mail gets noticed., Direct mail persists, Direct mail persuades. When clients need a hassle free mailing experience, they turn to ACS. Our mailing and fulfillment department is the perfect solution for all of your needs. ACS is fully equipped to print, mail and deliver any piece of marketing material requested. Our team of professionals carefully monitors every step of the mailing process ensuring the highest quality possible. Not Using Direct Mail? You Should! Contact ACS for a free consultation on direct mailing and marketing campaign services.